Personalizing Your Own Grocery Totes is Super Easy! I fell in love with Tula Pink’s City Sampler awhile back and have wanted to sew together some of those quilt blocks myself. One day I’ll get to a whole quilt of those beautiful blocks, but for now, I thought a shopping back would be a good way to begin with them. My mom asked me to sew some grocery bags for her, and of course I couldn’t sew just any simple plain bags. 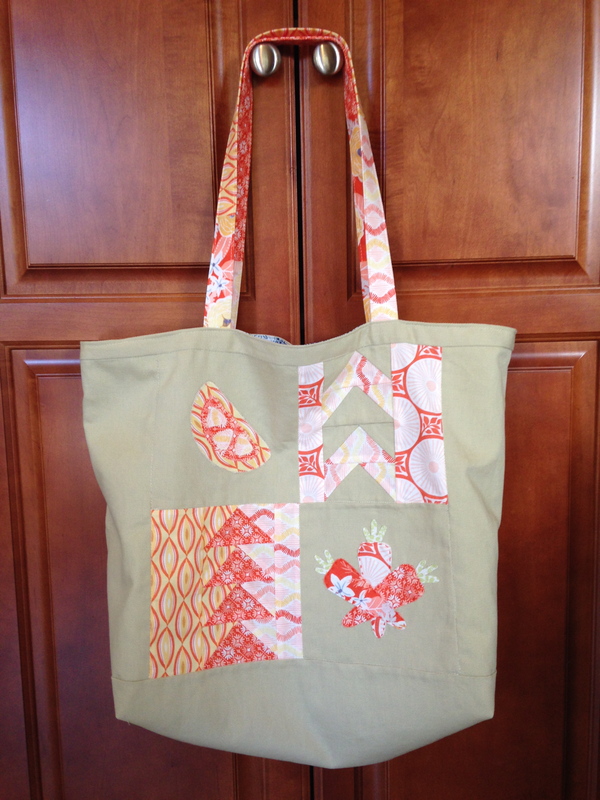 I saw a grocery tote bag pattern called Baggin’ It in the new sewing book Stitch ‘n Swap and knew that would be perfect. 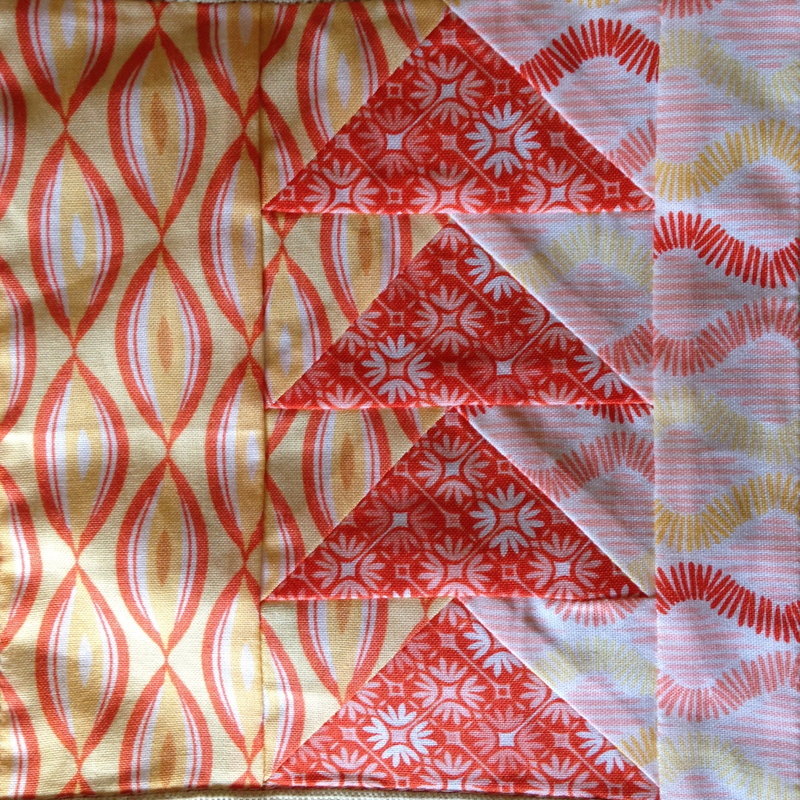 Instead of the adorable recycling symbol (I knew my mom wouldn’t go for something like that), I decided to supplement Tula Pink’s quilt blocks in their place. The awesome thing about it is her quilt blocks are the exact size I needed! 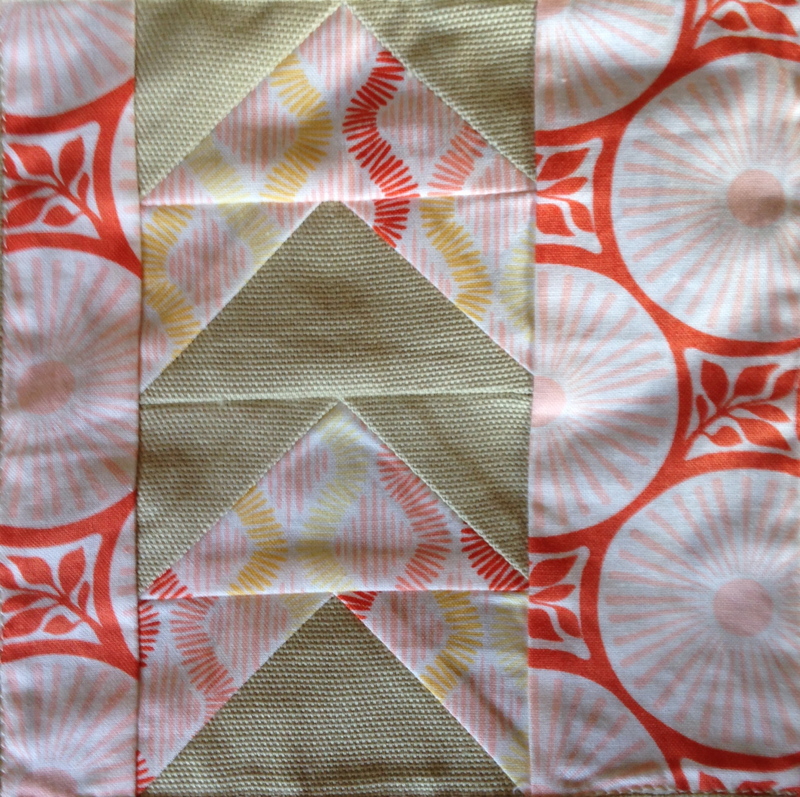 I chose two that were similar in angles and used Kate Spain’s Sunnyside collection. For the main body fabric I chose to upcycle some curtains I thrifted from Goodwill. I started with four quilt blocks, but it really looked too busy for a small grocery tote. 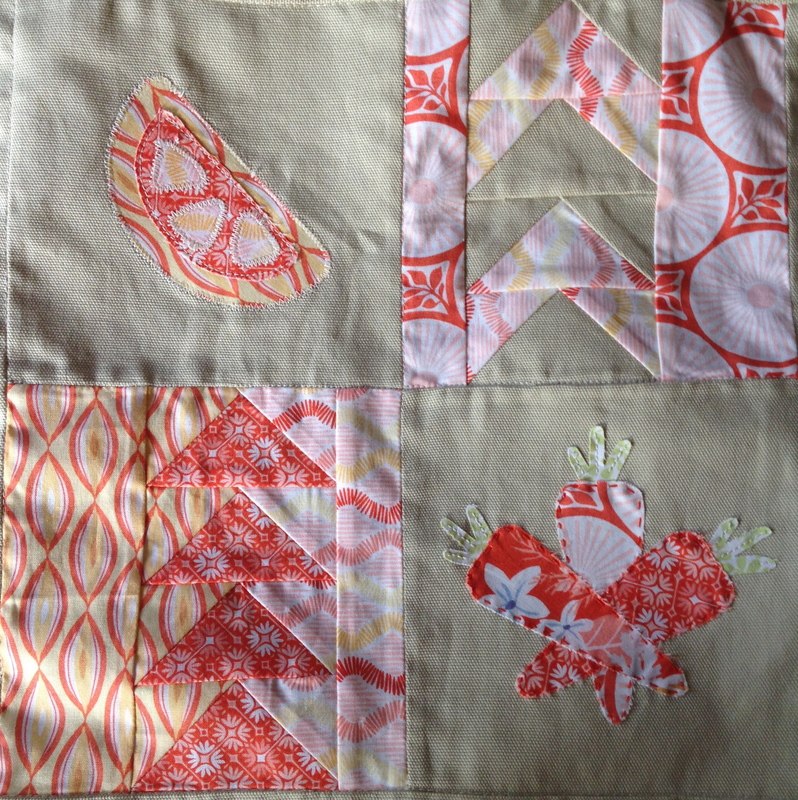 I decided to limit it to two quilt blocks and appliques. and the carrots idea from Stitch With Love by Mandy Shaw. 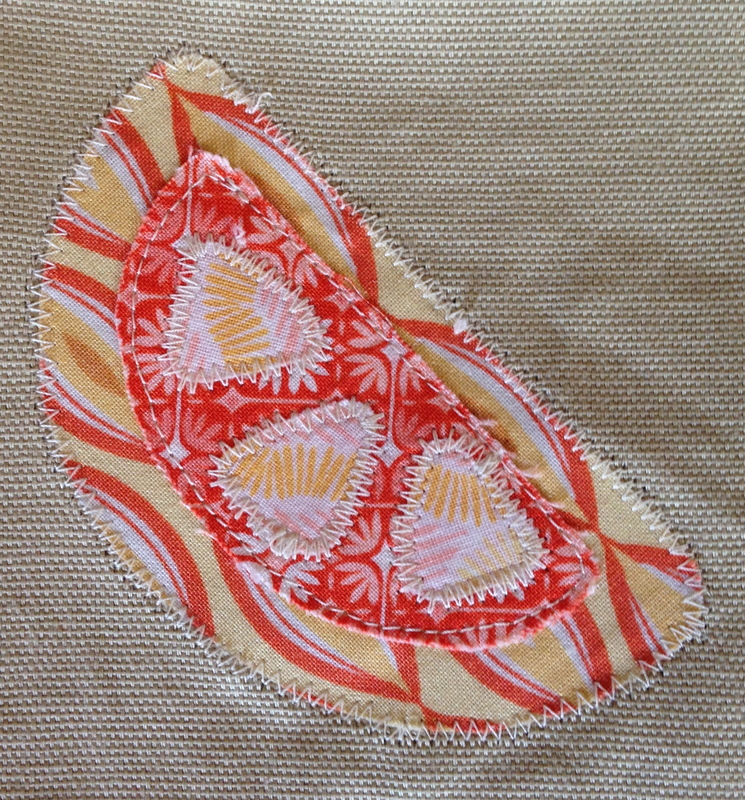 I used zigzag stitching for the orange and a running stitch with embroidery floss for the carrot bodies. 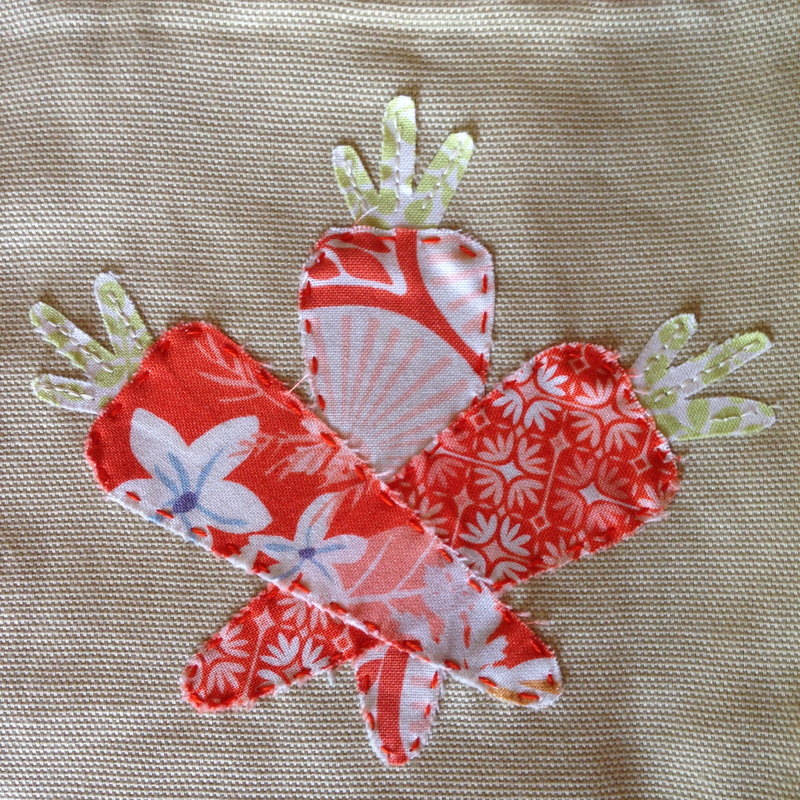 I just machine stitched their leaves down before I ran out of thread on the very last one! Oh well, no one will notice it 🙂 Here is what the bag’s front looked like when all stitched together. The inside of the bag is thrifted bed sheets. I liked the contrast of the blue with the orange. The straps are leftover fabric from the quilt blocks sewn together. Overall, I like the bag. 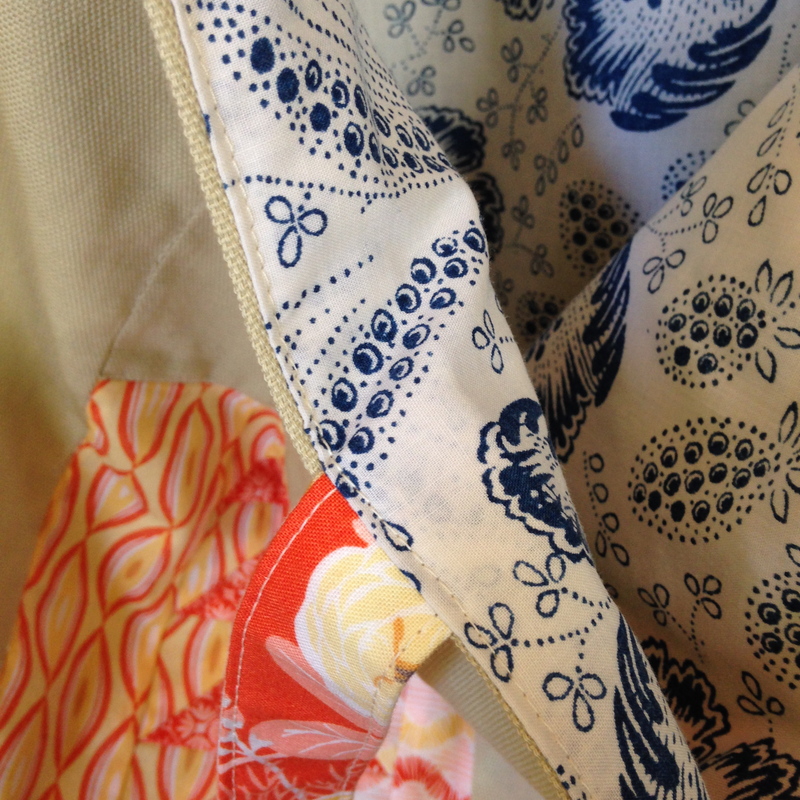 I used light weight interfacing for the bag, so it’s very soft and flexible for groceries. I did only finish one bag though! I think the others will probably be simpler because this took much longer than I wanted it to. There are so many grocery bag patterns available. Have you thought about making your own bags? 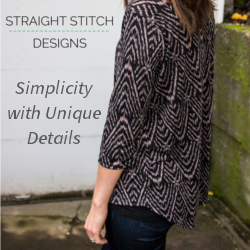 If so, do you have a favorite pattern?